Tori and Mushu are two beautiful sisters having their christening on the same day! It was a big event for friends and family, so we were asked to capture the course of the event in the most memorable and respectful way. Many families are excited about this big life event, but are uncertain whether to use a Sydney Event Photographer or how to find the right photographer to capture it. Some people decide to capture it using their own cameras, or to ask a friend. As a photographer I never bring my camera out to my own events. Because when you’re behind the camera, you don’t get to be present at the event. You have photos but you don’t have the memory of experiencing the event. We feel if your friends and family are important enough to invite to witness this special occasion with you, then they should get to experiencing this occasion, and not be put to work behind a camera. Don’t make them choose between living the moment, or documenting it. Don’t make your guests stress out about camera settings and lighting. That’s why using a professional photographer in Sydney is a good idea. We specialise in capturing photographs that let you relive the event every time you see them. You can let your guests enjoy the event and relax knowing you can have the best of both worlds. We started at their home, where they got dressed in the most beautiful outfits. 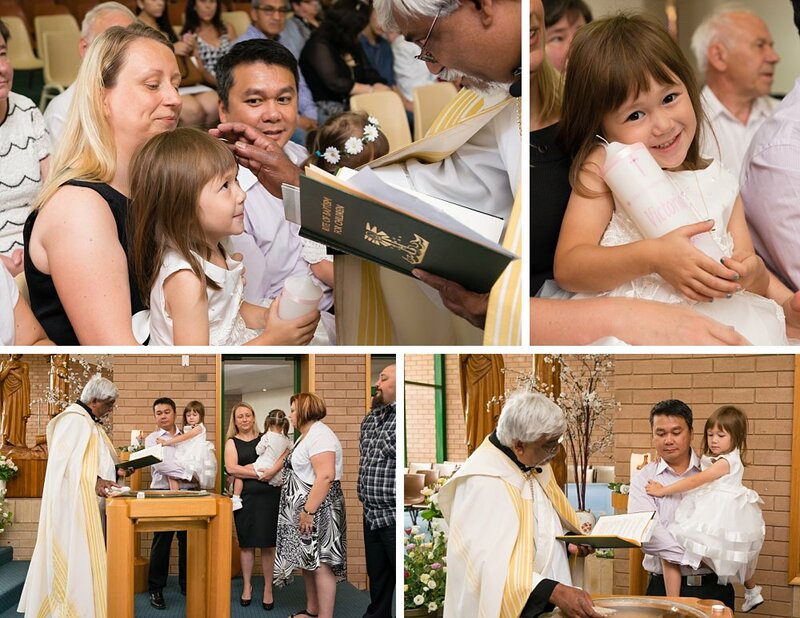 The godparents were there, as were grandparents. 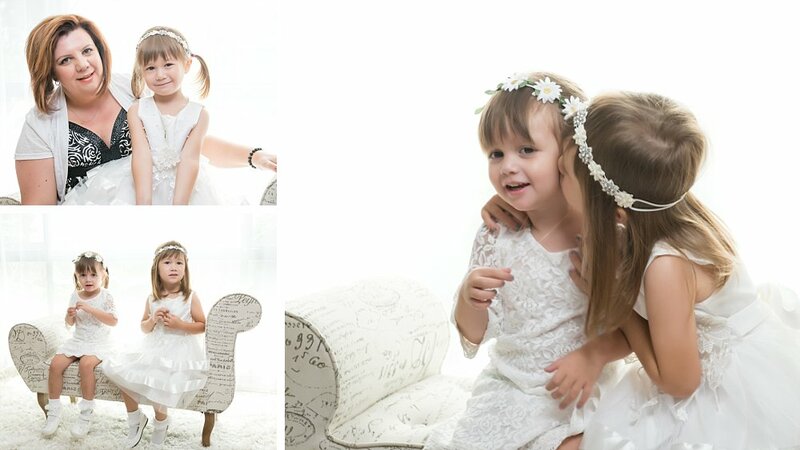 We captured their beautiful dresses, getting ready, and a couple of photographs with the family. Soon it was time to go to the church. There were six families that day for the baptism. It was a small local church and we had already talked with the priest beforehand so we were able to set up some lighting to capture the whole ceremony in consistent beautiful quality. The priest was very welcoming of photography during the ceremony and baptism, but we were still very careful to be completely inconspicuous and to be as invisible as possible. It was important that we capture the important moments without disturbing any of the people gathered together on this special day. What makes us different than other photographers? Working with people, and children, are our specialty. We get to know your children, so they know and trust us. They’re our friends by the time we start shooting, and we get beautiful natural expressions that totally represent who they are, right now. With our wireless lighting, we were able to capture the different parts of the ceremony in a dark church. Each part occurred on a different part of the stage, and we captured it all in beautiful quality. We are respectful and inconspicuous. We asked permission beforehand from the priest for every detail of the ceremony. From where we can place lighting, to where we could stand, when we could move and when we should be still, to what things we could and could not photograph. This helps you get the best results, without any awkward embarrassing moments. This is a once in a lifetime special event after all, and you want to have both good memories and great photographs to look back on. The best thing about having us capture your event is that we can create a custom mobile app for you afterwards. All your friends and family can look back at the memories and enjoy the moments with you. Valent Lau Photography provides Event Photography and is based in South Coogee in Sydney’s Eastern Suburbs. Contact us now and take your first step towards creating some beautiful heirlooms. Get 5 Pro Tips to Have the Best Portrait and Family Photos Ever! 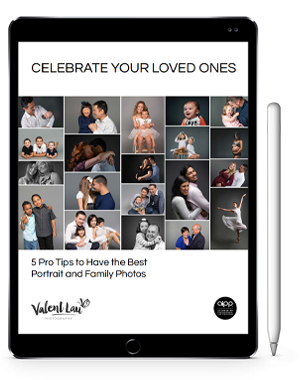 Time goes so fast, and you don’t want to miss a single gorgeous moment… Get this free booklet with tips on how to have a meaningful time and get amazing photos, guaranteed!